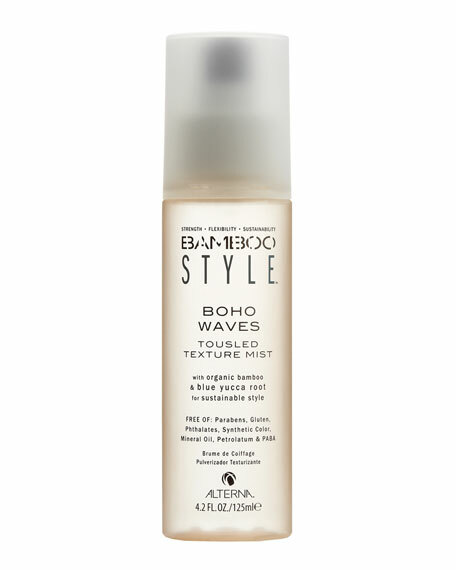 Bamboo Style Boho Waves Tousled Texture Mix by Alterna combines strengthening pure Organic Bamboo Extract and nourishing, naturally fixative Blue Yucca Root in a weightless texturizing spray that instantly gives you natural, tousled, "just-back-from-the-beach" waves. 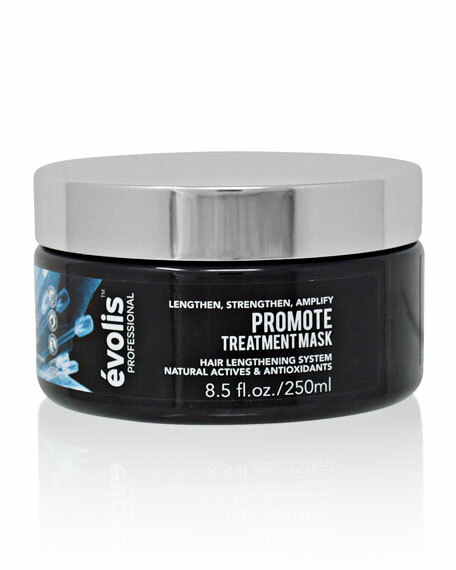 Adds texture, volume and healthy shine. Gives you tousled "just-back-from-the-beach" hair. All products free of: sulfates, sodium chloride, parabens, gluten, TEA, and phthalates. Usage: Spray on damp or dry hair, from roots to ends, and shape with fingers for loose tousled style. A pioneer in luxury hair products, Alterna launched in 1997. Since then, Alterna has gained renown for its naturally derived formulations that deliver substantive results. The Alterna range encompasses shampoos, conditioners, treatments, masques, sprays, mists, and styling potions. 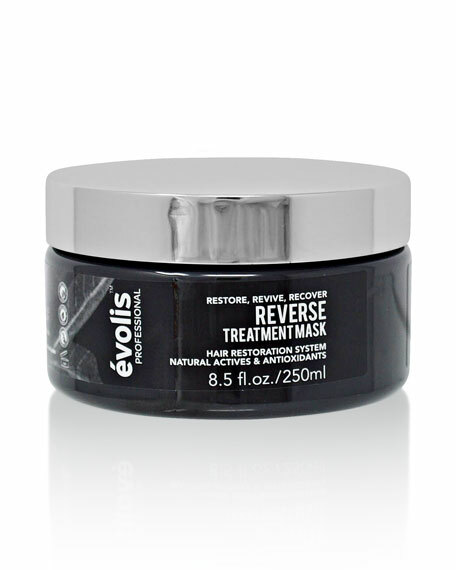 Principal ingredients include bamboo, caviar, seasilk, kendi oil, and EnzymeTherapy®. For style you can trust, all Alterna products are FREE OF parabens, phthalates, and sulfates. For in-store inquiries, use sku #263710.